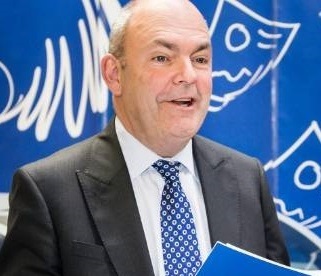 Former National Party Finance Minister Hon Steven Joyce is taking on his first public role since leaving Parliament and he’s getting behind a cause with a very personal connection. As the new patron of Minds for Minds Charitable Trust, an organisation dedicated to supporting research into Autism Spectrum Disorder (ASD), Mr Joyce is stepping into a familiar area. His eight-year old son Tommy has ASD and is exactly the sort of person the work of the Trust is focused on helping. Led by University of Auckland research academics, Professor Russell Snell, Dr Jessie Jacobsen, Associate Professor Mike Taylor and neurologist Rosamund Hill, the Minds for Minds Research Network is working to better understand ASD, with a big focus on the genetics behind ASD using DNA sequencing technologies. The goal is to improve long-term outcomes for families and where appropriate, refine treatment options for those that need them. Chair of the Trust, Josephine Wallis, says autism affects some 65,000 New Zealanders and its effects range from people who have a mild struggle with social interaction through to those with extreme issues with language, social behaviour and cognitive skills. “Early diagnosis and intervention can make a real difference; our researchers are hoping to address both of these areas.” she said. Steven Joyce, who identified spending more time with his family and particularly Tommy was one of the drivers of his departure from politics, says this is a cause close to his heart and one where he believes New Zealand researchers can make an international contribution. Members of the Minds for Minds Research Network encompass a wide range of research activities (genetics, microbiology, psychology, physiology, immunology, audiology, speech language therapy). It aspires to be to a place for all those working on ASD in New Zealand to meet, share ideas, resources and build effective collaborations. Current research includes using new technologies to identify the genetic basis of autism and related disorders and modern molecular biology techniques to investigate the role, if any, played by gut microbes.